Specialjobs.com.my, the first free online job portal catering solely to the special needs community and a by-product of Agensi Pekerjaan Jobsbac Sdn Bhd (a wholly owned subsidiary of BAC Education Group) hosted a dialogue session for Employers keen on hiring Persons With Disabilities (PWDs). 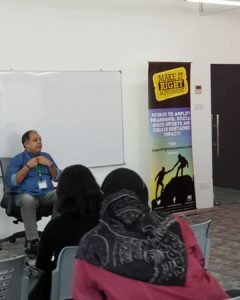 The session was held on 27 March 2019 at the new collaborative workspace located on the 6th floor of the PJ Campus, Brickfields Asia College. The session was mostly attended by corporations or companies who were interested to learn more about providing job opportunities to suitable PWDs seeking employment. 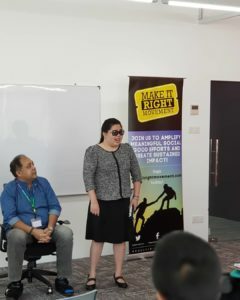 The session started with Mr Brian Lariche, Head of Community Development of the Make It Right Movement (MIRM) giving his feedback from an employer’s point of view in employing PWDs as part of the workforce. Another speaker, Mr Aidi Azhar from the Human Resources Development Fund (HRDF) shared a brief insight on the OKU Talent Enhancement Programme (OTEP) Scheme and how employers could benefit from the OTEP Scheme to train employees under the PWD category. Specialjobs.com.my was launched in collaboration with the Ministry of Human Resources, Malaysia, to connect employers with jobseekers living with disabilities by securing the right talent at no cost. The job portal also seeks to promote inclusive employment in Malaysia in line with the objectives of the Government.